TRADITIONAL WAYS OF INVESTING ARE OUTDATED. The old ways of investing are riddled with overly complicated terms, high fees, and are often exclusive. Meanwhile, not all of us have the time and expertise to manage our own funds. We believe there had to be a better way for investors. WE ENVISION A SMARTER WAY FOR YOU TO INVEST. AutoWealth began as a social venture to give back more to investors. Our proprietary investment strategy allows us to eliminate intermediary fees and pass on these cost savings to you, our investors. What's more, you can rest easy while your money works for you. We are fully transparent. We do away with complex fee structures and we make sure that you are fully informed on your investment progress. Achieving your financial goals is our priority. 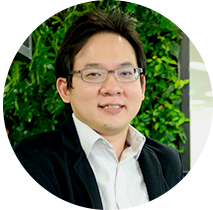 Tai Zhi started AutoWealth after spending more than 10 years in the investment field working for Singapore's sovereign wealth fund, hedge fund and family fund. He advises investment strategies, constructs and allocates portfolios. Tai Zhi is appointed to the SAFRA Investment Committee, advising the investment of more than S$100 million of assets. Noel is responsible for the operations of the company. He was previously a management consultant, managing consulting projects and advising clients on critical management issues. He has advised some of the largest and most successful companies across Singapore, Malaysia, and Indonesia, such as Keppel Corp, Singapore Power, CapitaLand, Bumi Armada and Bank Danamon. Ming Zhen engineered the technological, data analytical and machine learning aspects of the AutoWealth investment platform. 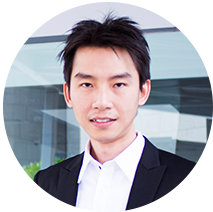 Ming Zhen has a PhD from the NUS Graduate School for Integrative Sciences and Engineering. He has extensive experience with mathematical modelling and machine learning techniques for large datasets. Michael is responsible for client engagement and experience. 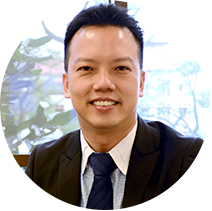 Prior to joining AutoWealth, Michael built his professional experience for 14 years in some of the largest financial institutions in the region, such as CIMB & Phillip Securities, leading teams of seasoned financial advisers. Aje is the founder and CIO of Nuvest Capital, a fund founded with the backing of the sovereign wealth fund. Before founding Nuvest Capital, Aje spent his entire career of over 30 years at the GIC, during which he held senior leadership positions, including CIO, Global Equities and Member, GIC Group Executive Committee. Aje is a board member of Unigestion (Asia), and advisory board member of the Sim Kee Boon Institute for Financial Economics (Singapore Management University) and the Salvation Army. He sits on the investment committee of the Singapore Indian Development Association (chairman) and Wah Hin, a Singapore-based family office. Sang Wuoh is the Associate Director of National University of Singapore. 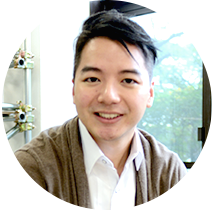 He is one of the pioneers in the Singapore startup incubator scene. Sang Wuoh has been advising startups incubating at NUS Enterprise for the last 14 years. Some of the successful startups under his advice during his extensive career include Zopim, which was acquired by Zendesk and will be powering the Facebook Messenger's Business app. Sang Wuoh has played a key role in promoting the startup spirit in NUS and in the development of many successful startups.